Tired of the same old puppy chow recipe? 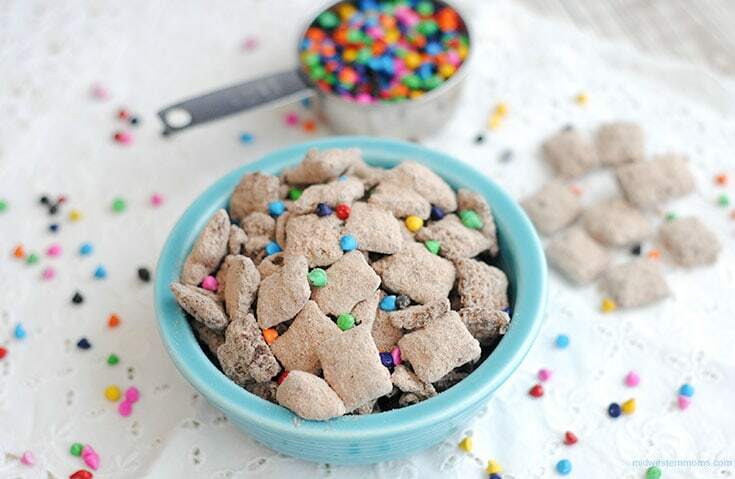 Try out this Cosmic Brownie Puppy Chow! 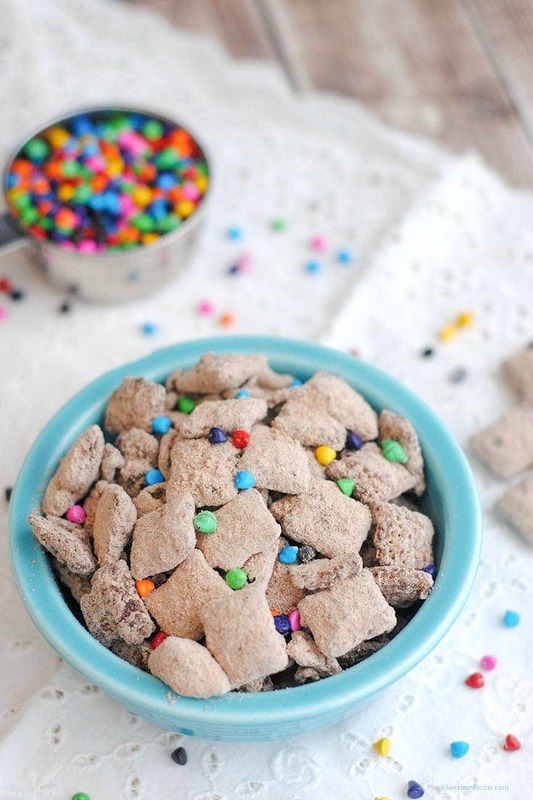 If you have not guessed, this puppy chow recipe is inspired by Cosmic Brownie by Little Debbie! Can you tell? Gather all your ingredients together to get started. 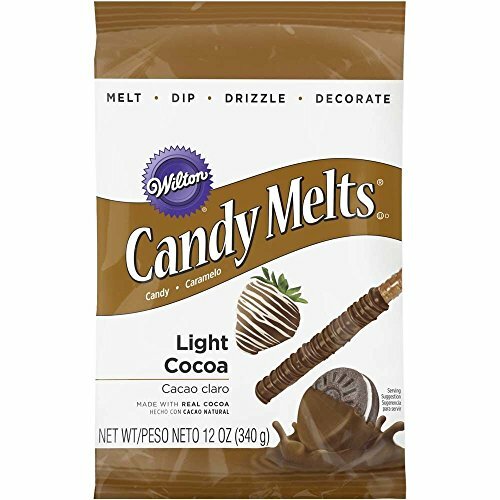 First, melt the candy melts according to the directions. Then, pour the melted candy melts over the cereal and stir. Make sure to fully coat the cereal. Divide the box of brownie mix between the 2 large freezer bags. Then divide the coated cereal into the 2 bags. 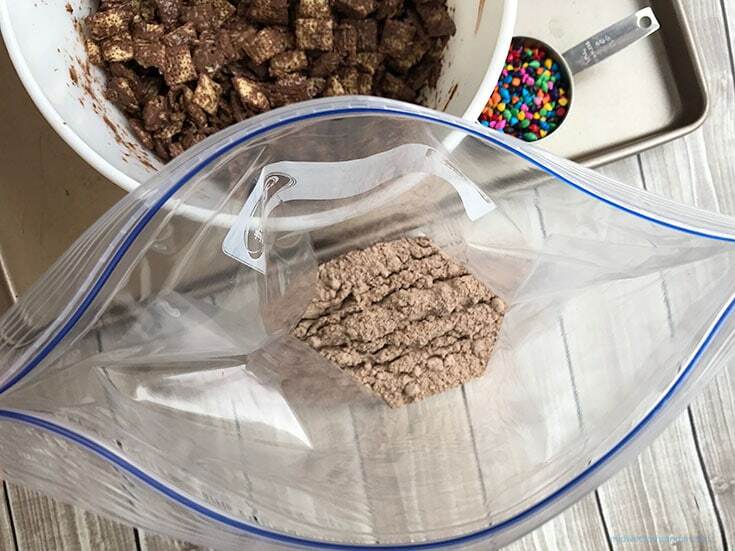 Seal the bags up and shake them until the brownie mix coats the cereal. 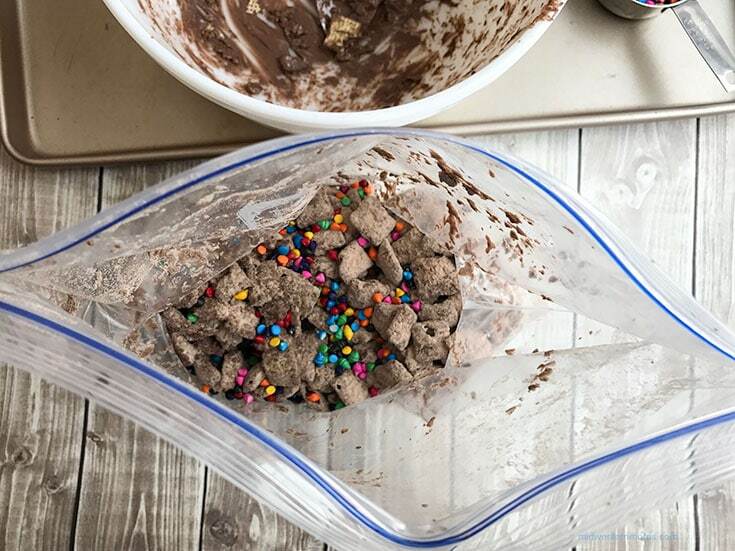 Add in your rainbow chips and the puppy chow is complete! 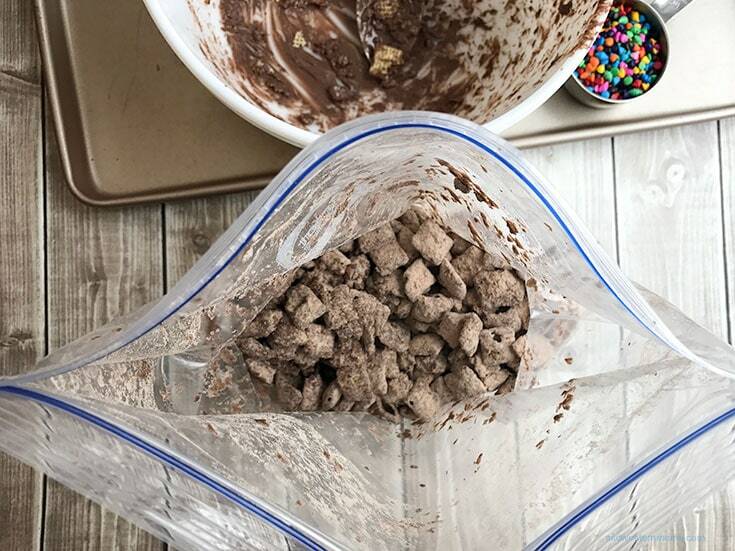 To store the cosmic brownie puppy chow, keep in an airtight container or just keep in the bags. I just love how easy this recipe is to make! 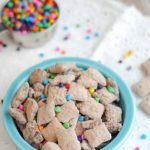 Easy recipe for puppy chow inspired by Cosmic Brownies by Little Debbie! Pour the candy melts into a glass microwavable safe dish. Heat in 30-second increments, stirring occasionally until melted. Let cool a few minutes. 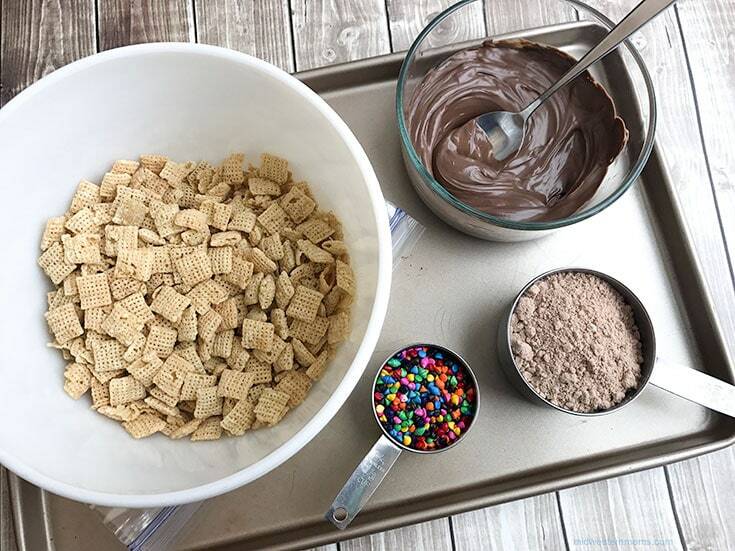 Pour the melted chocolate over the Chex cereal and gently stir until all the cereal is coated with melted chocolate. 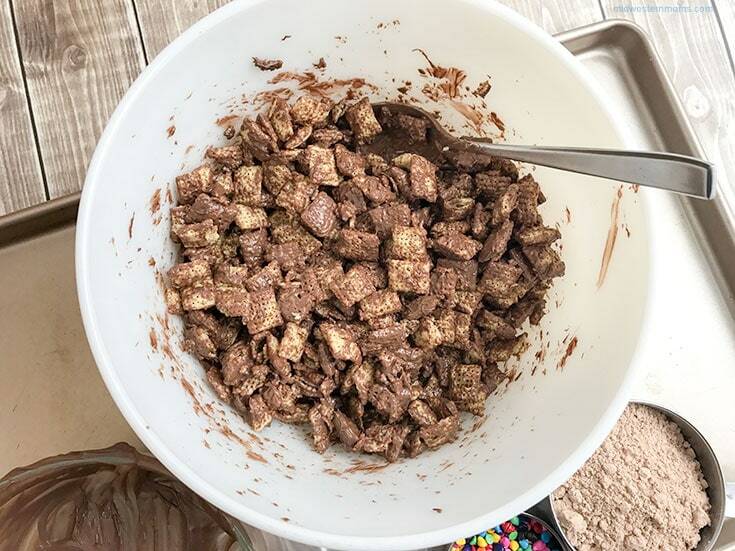 Divide the chocolate coated cereal between the 2 bags of brownie mix, seal shut and gently shake each bag to coat the cereal with brownie mix. 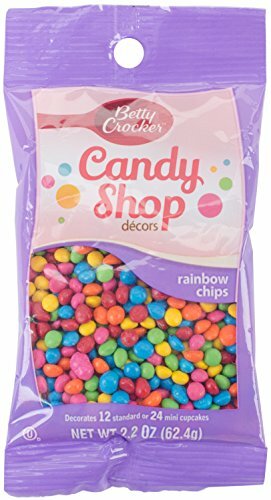 Add in the rainbow chips. Store the puppy chow in an airtight container (I simply keep it in the freezer bags) in the fridge.